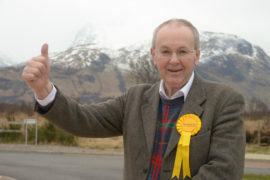 A special meeting of Highland councillors agreed to a mile-long hydro line in the heartland of a “very rare” butterfly habitat, overturning a previous decision. A full Highland Council meeting was held yesterday to review a decision by the South Planning Committee to refuse an application by Vento Ludens Ltd for a 950kW run of river hydro scheme at Allt Mhuic, near to Spean Bridge. The area is home to the Chequered Skipper Butterfly, a rare species that is now confined to habitats in a 30-miles radius of Fort William. The land, half a mile north west of Ardechive Cottage, Achnacarry, was a home to the butterfly, and two trees will be removed prior to the scheme going ahead. 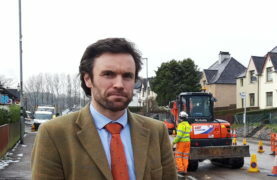 Councillor Ben Thomson had called for the special meeting after councillors refused the application in February. He said: “A new study has found that fossil fuel pollution is as deadly as smoking. “It is vital that we do anything we can to reduce using fossil fuels. This scheme will be in existence for 30/40/50 years, in that time every mega watt gained has the potential to fuel and reduce the pollution from 15,000 cars. However, fellow ward councillor Denis Rixson said he had “no confidence” in the information contained in the council papers. 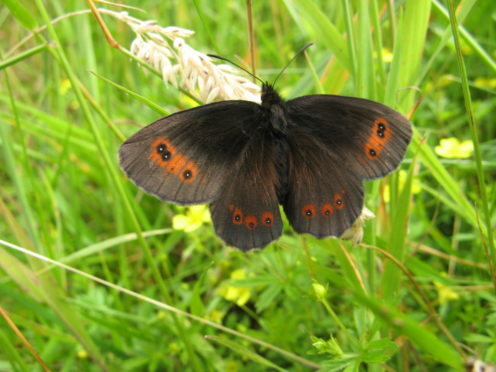 Discussing both the habitat of the Chequered Skipper butterfly and the trees that would have to be felled to create the path of the hydro scheme, he said he would not be able to support the application. A vote was taken by councillors, and it was agreed to pass the application by majority.